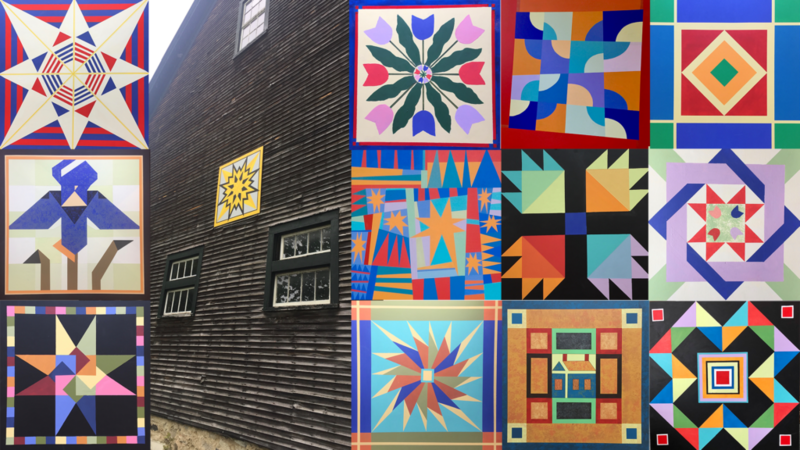 The road through town is under construction, but the artists of Brandon are blazing a trail of their own: The Quilt Trail of Brandon, Vermont. It’s the Brandon Artists Guild’s community arts project for 2018. The quilt boards – up to 4-foot square – adorn barns, businesses and homes around our village. Each is hand-painted by members and friends of the Guild to beautify Brandon and raise money to support local arts. Over 50 of these weatherproof, wooden squares have been placed around town. See how many you can find – pick up a Quilt Trail Map at the Brandon Artists Guild gallery or at many of our local shops and inns while they last. 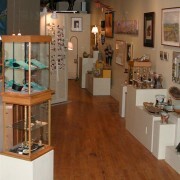 Or follow the trail from your smartphone as you explore Brandon.